Lancaster, TX/Lancaster ISD – College admissions may seem far down the road when parents are getting their kindergarten students ready to start school. However, planning for the costs of college should not move too far down the road as well. 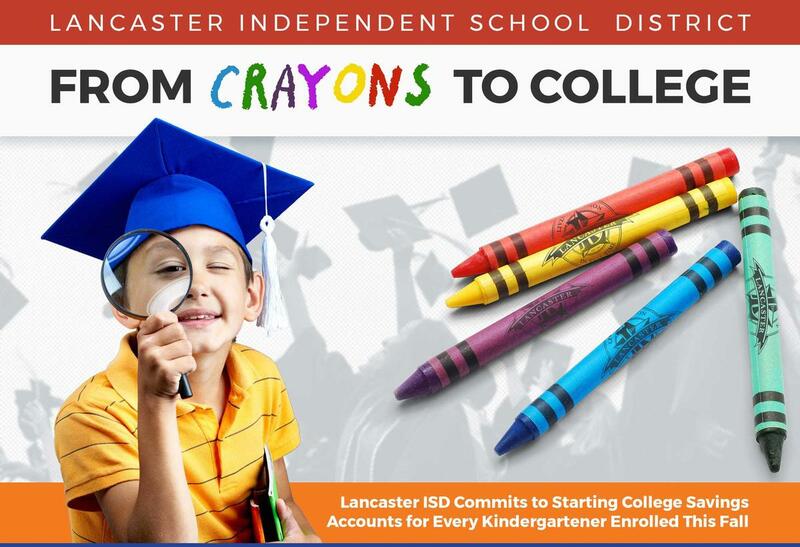 In Lancaster ISD, Superintendent Elijah Granger has committed to establishing 529 College Savings Accounts for 2018-2019 incoming kindergarteners to assist parents with planning and saving for their child’s future. Research shows that children with $500 (or even less) in a college savings account are three times more likely to attend college and four times more likely to graduate. While the district is still in the planning phases of this initiative and plans to launch it this spring, every kindergarten student enrolled by October is eligible. In addition, while the account will be opened by Lancaster ISD, parents may contribute to the account at any time and there will be incentives for students to earn additional money to contribute to their account throughout the school year. To kick-off the initiative, Lancaster ISD is using the $50,000 award money that it received last spring when H-E-B selected the district as its Excellence in Education Award winner. “Without question, Lancaster ISD is providing first class educational experiences for the students and community at-large,” Superintendent Granger said. While Lancaster ISD is pioneering this approach to college readiness, it has long been a leader in early learning for years and offers a full-day academic option for 3-year-olds providing early academic exploration and social development. According to data provided by Commit!, Lancaster ISD, has the highest Pre-K enrollment rates in Dallas County. 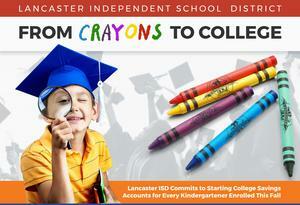 Lancaster ISD is still enrolling so it is not too late to register a student to attend classes in the district. For more information, visit www.LancasterISD.org or call 972-218-1400. BEGIN THE ENROLLMENT PROCESS HERE.